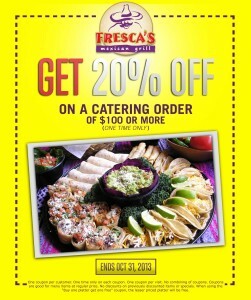 Use this coupon today to save 20 Percent off Fresca’s Mexican Grill Catering. Mexican food is a huge part of american culture and Fresca’s brings quality cuisine to the table. 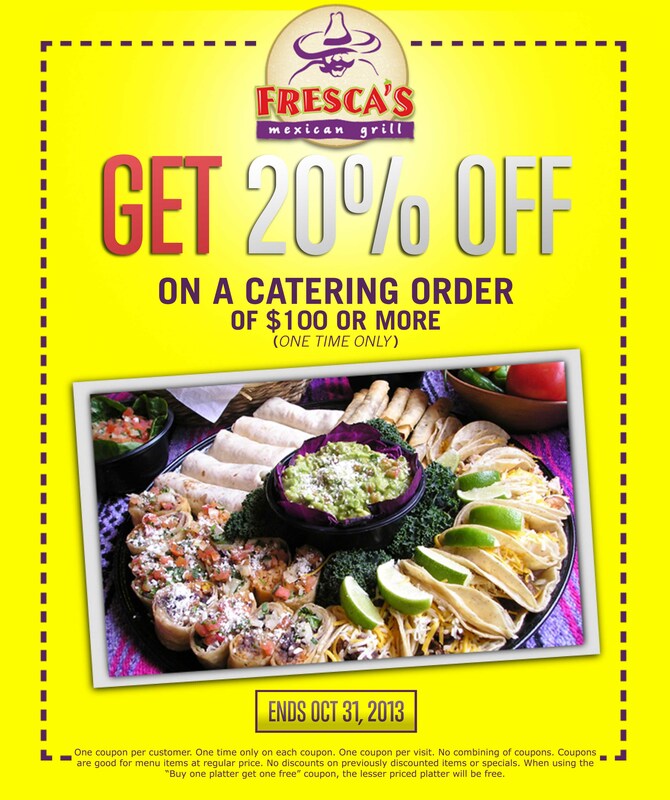 Now when you cater, you can save a massive 20% off your entire catering bill. It allows you to save this percentage only when you order at least $100 worth of food for catering, so I assume you’ll have a party of at least 9 people or more to feed. One coupon per customer. One time only on each coupon. One coupon per visit. No combining of coupons to gain greater discount. Coupons are good for menu items at regular price. No discount on previously discounted items or specials. When using the Buy One Platter get on Free coupon, the lesser priced platter will be free. Stuff your face with a burrito and celebrate life, salud!